Family members and fans of Mahesh Babu are rejoicing after the Telugu superstar’s wax statue has been unveiled in Hyderabad. For those who don’t know, this is the only wax idol which has been brought to India by Madame Tussauds. It has been placed at the AMB Cinemas in Hyderabad and pictures of the wax statue has taken the internet by storm. In the pictures we can see Mahesh Babu’s wife Namrata Shirodkar and his children present during the unveiling of the wax statue. Politics Was Never Meant for Me, Clarifies Maharshi Actor Mahesh Babu. 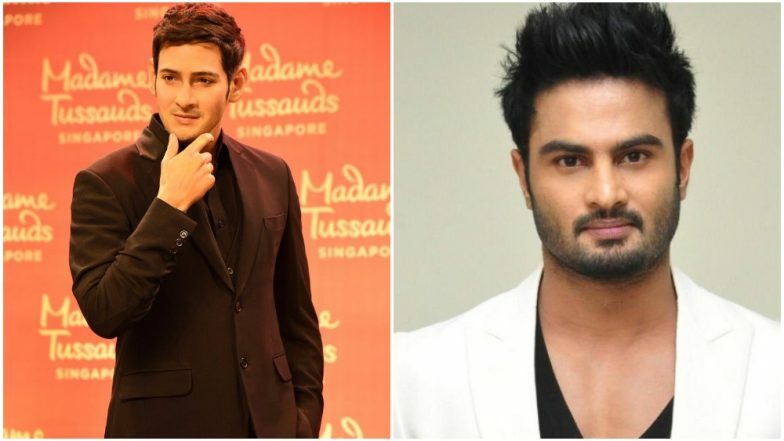 Sudheer Babu, Mahesh Babu’s brother-in-law, has also shared a special message for the latter. He tweeted, “The MAN , the MOMENT and the MONUMENT !! forEVERGREEN Congratulations SUPERSTAR @urstrulyMahesh #MaheshBabuMTSG #SSMBWaxFigure”. For those unaware, Mahesh’s younger sister Priyadarshani and Sudheer tied the knot in 2006. He made his debut in Telugu cinemas with Shiva Manasulo Shruti. Was Mahesh Babu Supposed to Play Ram Charan’s Role in SS Rajamouli’s RRR? The wax figure will be taken to Singapore today evening. Mahesh Babu who is all happy was quoted saying, “It's an honor that I've got my wax sculpture and it will be placed alongside many legends of Indian cinema in Singapore. There couldn't be more happiness than this,” reports Gulte.com. On the work front, Mahesh Babu will be seen in Maharshi in which Pooja Hegde is paired opposite the actor.